Excellent salary and benefits package available – contact Debbie to find out more. 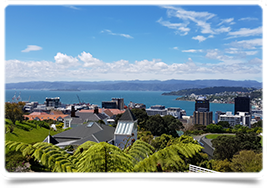 We have two exciting GP jobs near Wellington, New Zealand's capital city. This is a unique opportunity for a GP to live and work in this highly sought after location on the North Island. New Zealand is becoming more and more a location of choice for those who previously considered Australia as the most desirable location down under. Its rapid growth compared to other developed countries has recently been recognised as not only the 2nd Safest Country in the world to live, the Mercer 2018 Quality of Living Rankings has listed Auckland 3rd and Wellington as the 15th best place in the world to live and work.